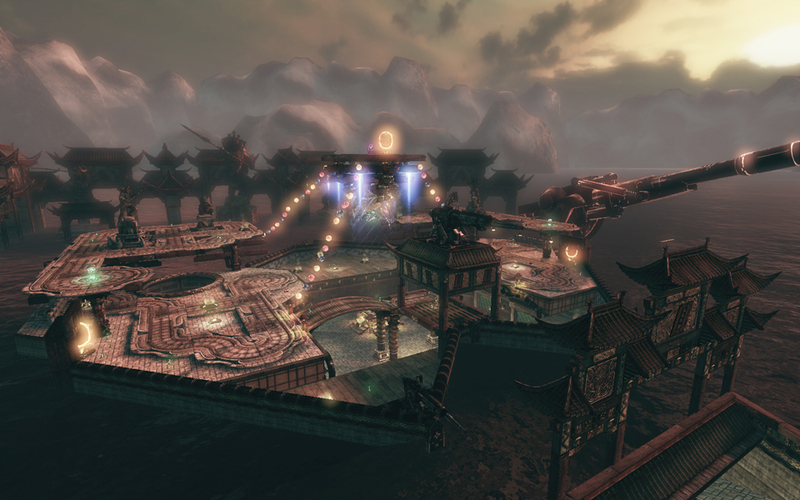 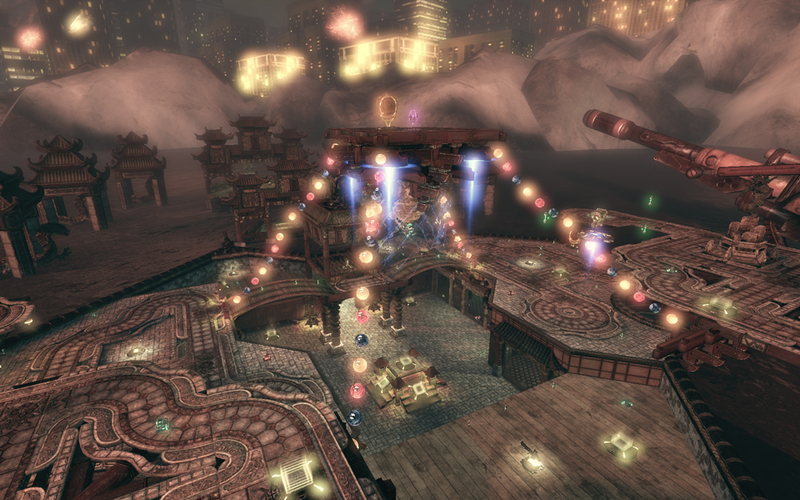 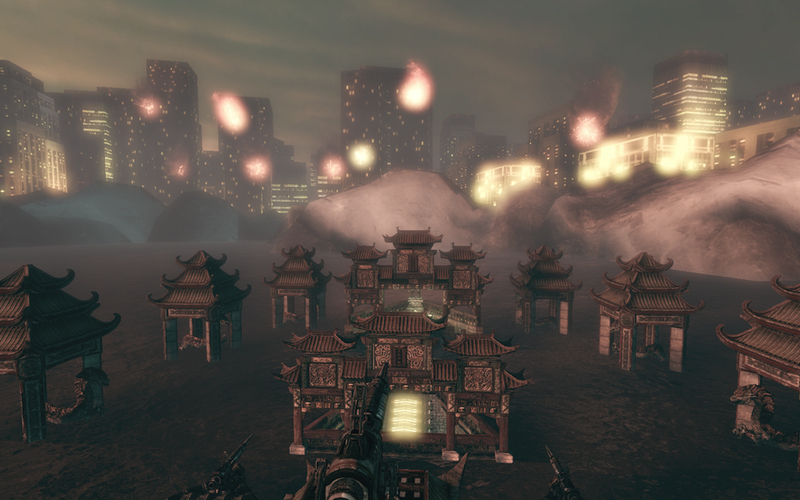 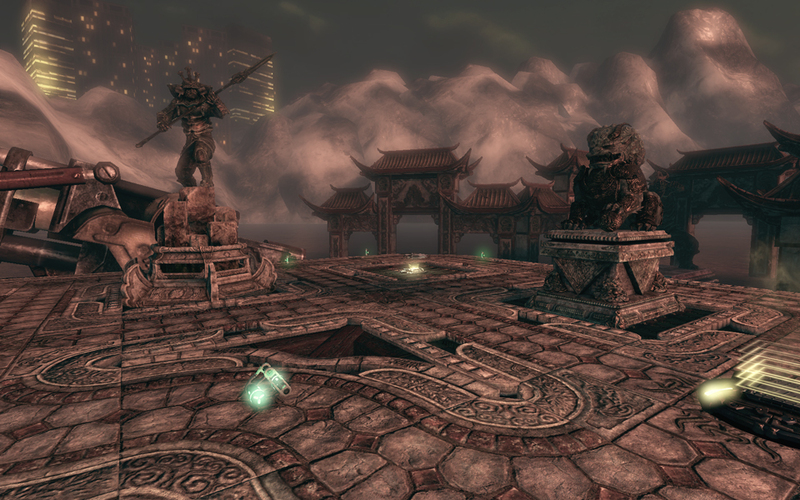 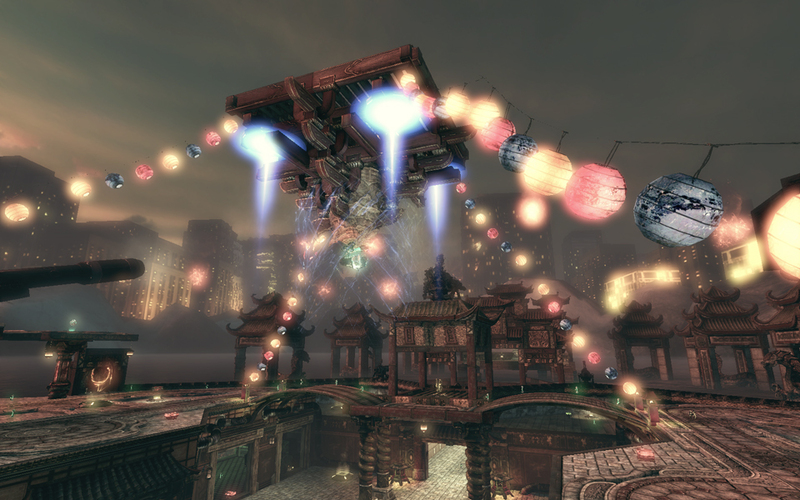 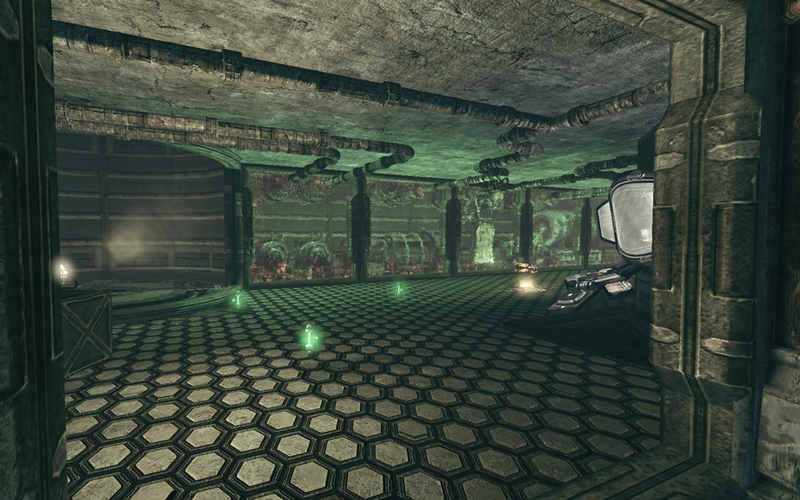 Red Cliff Redux is a 16-player Deathmatch map for Unreal Tournament III that takes place on an ancient water-logged temple/massive artillery platform firing intently on New Chibi City. 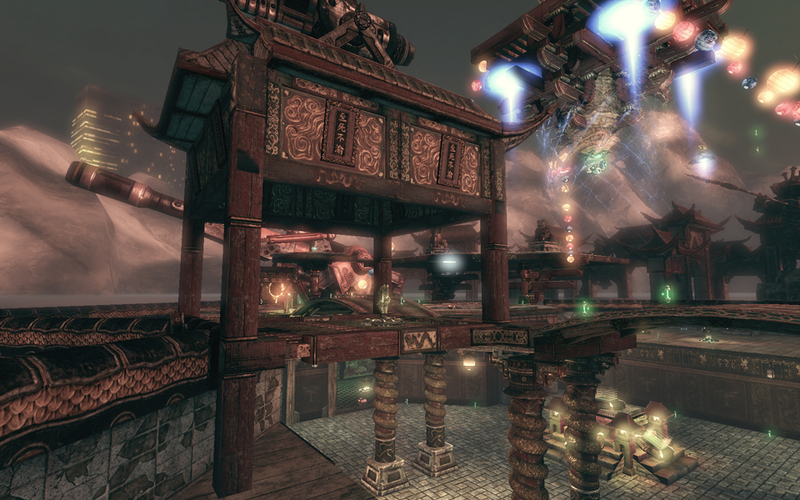 Players drop into a vicious battle for supremacy atop the temple for control over the guns and the rights to lead the sack on the city. 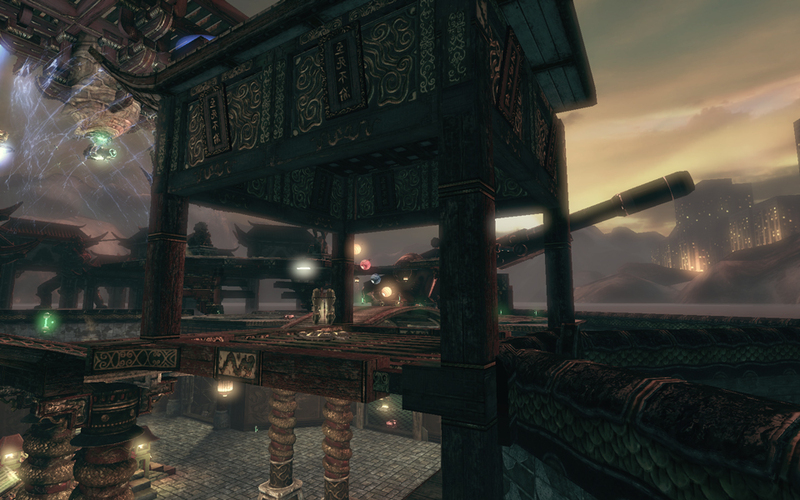 Taking inspiration from the classic Quake map, DM17, Red Cliff Redux expands the gameplay by adding an expanded playspace, more height levels, interior and exterior space, and a new Asian-inspired theme.